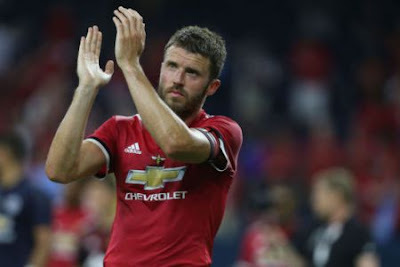 The former England international made the announcement at United’s press conference on Monday ahead of the Champions League last-16, second-leg match against Sevilla. He said in November 2017 he had felt something was wrong after playing for United against Burton in the Carabao Cup in September. The player had a cardiac ablation to correct the condition and said in a statement last November that he was “healthy”. “I had a problem in the Burton game it started in the second half, had a few tests and the same problem came back on the Sunday of that week. I had a procedure the following week,” he said. “I’m totally fine now, took a bit of time to get over. For two or three days I was thinking am going to carry on playing is it worth it but that passed and I got fit.